U.S.G.S. 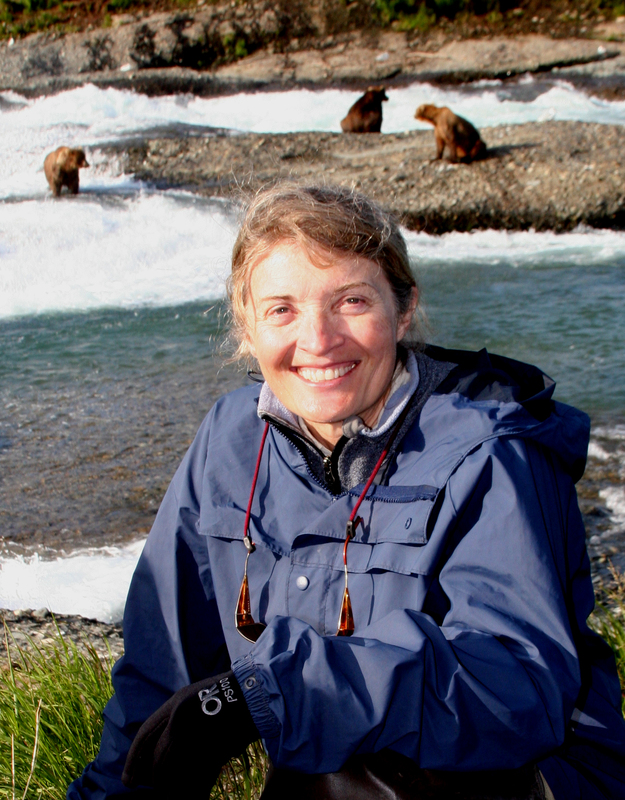 research ecologist Kate Kendall has been studying grizzly bears for over 30 years and done groundbreaking research into the grizzlies that live in the Northern Continental Divide Ecosystem. Kendall is retiring this month, and she recently sat down with News Director Sally Mauk to talk about her career, her research, and her thoughts about the future of the great bear. Kendall started with the National Park Service right out of college, and moved to Bozeman in 1977 to join the Interagency Grizzly Bear Study Team – one of only a couple of women working with dozens of men. 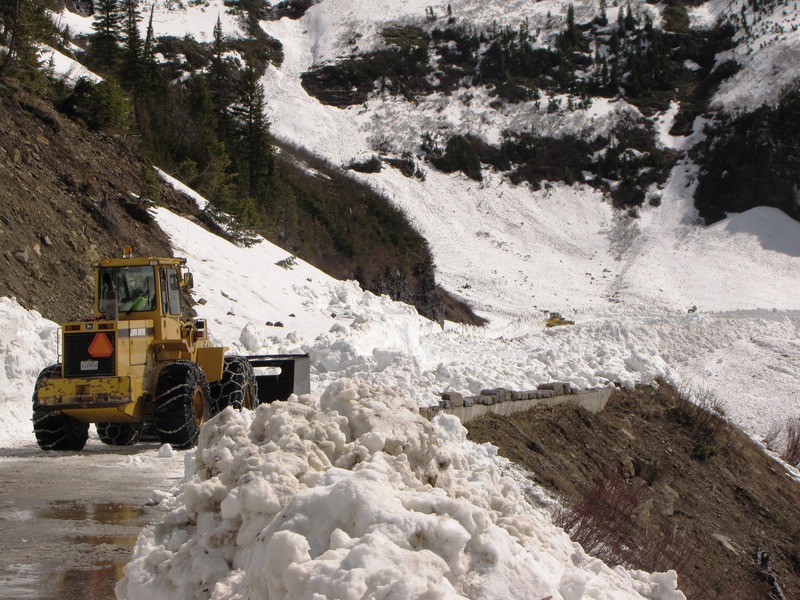 File photo – Plowing Going to the Sun Highway in May 2009. The Coalition of National Park Service Retirees (CNPSR) is warning of late openings, and scaled back services at National Parks if the sequester goes into effect next Friday. The Washington Post gives a synopsis of what the sequester is, and how Congress got to this point. Spokesperson Joan Anzelmo with the CNPSR said the scheduled cross the board federal cuts would mean the Park Service would have to trim its budget by $110 million in the middle of the fiscal year. She said park superintendents will have to make these cuts right in the midst of gearing up for spring plowing, an expensive endeavor. 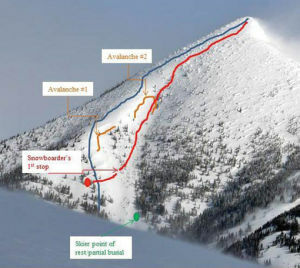 “Our internal sense is that most of the parks are going to greatly reduce seasonal workforce and the mountain parks are increasingly looking at delaying snowplowing because they won’t have the staff to do the work,” Anzelmo said. The CNPSR believes Yellowstone National Park would see delayed road openings inside the park, and at several entrances, and Glacier National Park would see a two week delay to the opening of the Going to the Sun Highway. “The day the Sun Road opens business starts, and the day the Sun Road closes business ends,” said Rhonda Fitzgerald. Fitzgerald owns the Garden Wall Inn, a bed and breakfast in the heart of downtown Whitefish. She also has served on the state Tourism Advisory Council. The governor-appointed council advises the state Department of Commerce and the Governor on tourism related issues for the state. She said the road has been opening around the third Saturday in June during the rehabilitation road construction, and usually closes about the third Saturday in September. Glacier Park Spokesperson Denise Germann said consequences of the sequester are unknown right now. Germann said potential impacts to visitors could come from reduced hours of operation at visitor centers, shorter seasons for services such as campgrounds, or limited maintenance or law enforcement services. Yellowstone National Park in WY, MT & ID will delay spring road opening operations inside the park and to the west, south, east, and northeast entrances. Savings would come from a combination of reduced or delayed seasonal hiring, extended unpaid furloughs for employees, and reduced operating expenses including fuel, equipment and maintenance. Access from the west (from US 20 & 191 West Yellowstone, MT), from the south (US 287/89, Jackson, WY thru Grand Teton National Park) and the east (US 20, Cody, WY) would be delayed 2-3 weeks. Access from the northeast via the Chief Joseph Highway (near Cody, WY) and Beartooth Highway (near Red Lodge, MT) would be delayed 3-4 weeks. Visitor access to Grant Village and Yellowstone Lake would be delayed 2-3 weeks. Combined, these delays will affect over 78,000 visitors, reduce park fee revenue by more than $150,000 and have significant economic impacts to concessioners and gateway communities. Grand Canyon National Park in AZ will delay opening the East and West Rim Drives and reduce hours of operation at the main Grand Canyon Visitor Center. This will immediately affect over 250,000 visitors. Grand Canyon receives approximately five million visitors annually. Yosemite National Park in CA, will delay the opening of the Tioga and Glacier Point roads by as much as four weeks due to limitations on snow removal resulting from reduced staffing which will impact thousands of visitors. In 2011, Yosemite National Park had a near record 4,098,648 visitors. Glacier National Park in MT will delay opening the Going-to-the-Sun Road by two weeks, the only road which provides access to the entire park. In previous instances, closures of Going-to-the-Sun Road have resulted in financial distress for surrounding communities and concessions well into millions in lost revenues. Grand Teton National Park in WY will close the Jenny Lake Visitor Center, the Laurence S. Rockefeller Preserve, and the Flagg Ranch Visitor Contact Station, for the summer season affecting over 300,000 visitors. Additionally, the park’s cooperating association, the Grand Teton Association will lose $225,000 in sales revenue as a result of the closures. Great Smoky Mountains National Park in NC & TN will close five campgrounds and picnic areas affecting over 54,000 visitors. Additionally, the reduction in staff will result in reduced road maintenance and increased time for emergency responses to activities such as accidents, rockslides, ice, and hazardous tree removal for more than 35,000 vehicles per day on several heavily travelled routes in the Cades Cove District as well as the thoroughfares between Gatlinburg, TN and Pigeon Forge, TN and between Gatlinburg, TN and Cherokee, NC. Cape Cod National Seashore in MA will close the Province Lands Visitor Center for the season due to inability to staff and maintain it. Normal operating hours are daily, early May through late October. This closure will affect over 260,000 visitors. Additionally, visitor access to large sections of the Great Beach will be reduced and restricted in order to protect the nesting shorebirds. The nesting birds require daily monitoring, which a reduced staff could not provide. Natchez Trace Parkway in MS, AL & TN a reduction in seasonal employees will cause closure of 25 comfort stations one day per week, affecting more than 200,000 visitors. Mount Rainier National Park in WA will close the Ohanapecosh Visitor Center due to inability to staff and maintain it, affecting upwards of 85,000 visitors. Denali National Park in AK will have seasonal staff shortages resulting in delayed plowing operations of Denali’s spring road, postponing the opening of the Eielson Visitor Center. This would impact over 3,500 visitors per day and would significantly affect revenue for local businesses. 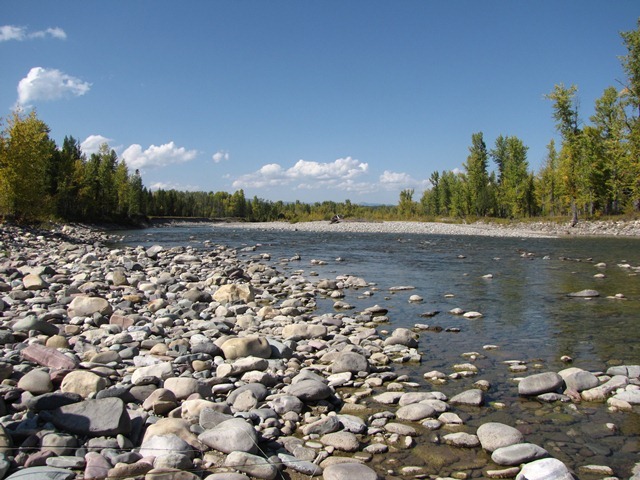 The North Fork of the Flathead River borders Glacier National Park’s western edge. A Bill making its way through Congress would move a step closer to closing the door on mining in the North Fork Flathead. The North Fork Watershed Protection Act of 2013 was recently reintroduced by Senators Max Baucus and Jon Tester. land next to Glacier National Park off the table for future oil and gas development. Senator Baucus’s office said more than 80-percent of the leases held for the North Fork have been voluntarily retired by the lease holders. This bill doesn’t affect the remaining lease holders, but efforts are ongoing to encourage the retirement of the remaining leases. Glacier Program Manager Michael Jamison with the National Parks Conservation Association said the North Fork Watershed Protection Act follows up an agreement reached between former Governor Brian Schweitzer and former British Columbia Premier Gordon Campbell in a Memorandum of Understanding (MOU) in 2010 to protect the cross-border watershed. The North Fork springs from headwaters north of the border in a coal-rich part of British Columbia. The Canadians followed up on the M-O-U in 2011 with legislation that made the headwaters area off limits for industrial development. Jamison said the conversation is continuing with Canadians to preserve the area. He called the area unique and remarkable as an example of an intact ecosystem with the same predator-prey relationships that existed when Europeans first arrived. “There’s really nothing else like it,” Jamison said. He described the North Fork as ecological and economic headwaters. “We have 30-years of trans-boundary history relative to the conservation of this place, and there’s a lot of science that’s been done, and there’s a lot of interest that’s been placed on it, with Glacier Park and Flathead Lake immediately downstream, there’s tremendous interest from both sides of the political aisle,” Jamison said. Senator Baucus has been involved with the North Fork of the Flathead since he was first elected as a Representative in 1974. Baucus pushed for the Flathead River to be designated a Wild and Scenic River, which it was in 1976. In 2010 some of the oil and gas companies that voluntarily gave up their leases in the North Fork include ConocoPhilips, Chevron, and a subsidiary of Exxon / Mobile. Glacier National Park Superintendent Chas Cartwright retires at the end of next month. 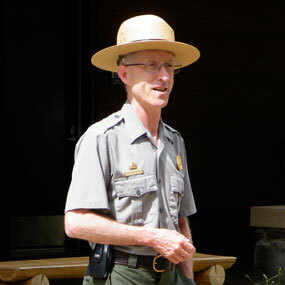 Cartwright says his time in Glacier has been a magnificent way to wrap up his long career with the National Park Service. In this evening’s feature interview with Edward O’Brien, Cartwright explains how he, as a kid from the suburbs of Detroit, developed a life-long love of the outdoors. Summer tourists continue to pour into Montana, even with the high heat and hazy skies of our wildfire season. The state’s top destinations are actually seeing an uptick from last Summer. When the staff of Helena’s Birds and Beasley’s gift shop hear a certain bell a’ringing several of the ladies, like Toni Schneider, drop what they’re doing and make a mad dash for the entrances, welcome signs in hand. 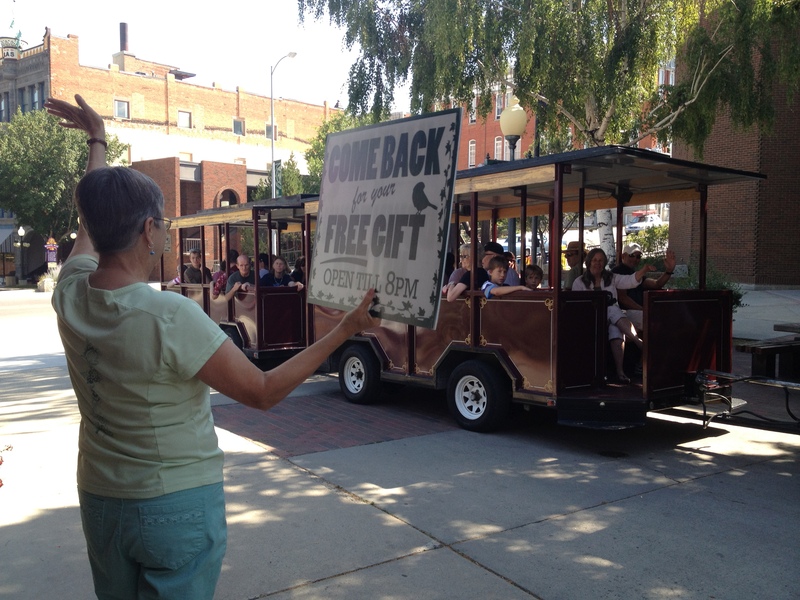 “We greet the tour train when they come by, to say thanks for visiting Helena and come see us because we give them a free gift with their tour train ticket,” Schneider said. The Last Chance Tour Train chugs up the middle of Helena’s downtown several times daily—jam packed with Summer tourists. Schneider says it’s been fruitful. “Oh, we’ve seen good numbers,” she said. She says visitors can’t resist the shop’s hand-made Montana arts and crafts. I mean, how could they not come? Schneider says it’s the best gift shop in Helena. “Of course I’m biased,” she laughed. Higher sales at Birds and Beasley’s are probably a little anecdotal. The store just moved to a new, much bigger, location right in the heart of Last Chance Gulch. Their old store was one street off the main drag. Communications Manager at the Montana Office of Tourism, Sarah Lawlor says that shop’s not the only one doing well, though. Lawlor says things were looking pretty dire early in the season. The land dried out late in the Spring, several big fires started in June. But major tourism hubs have been spared. “We’ve been fortunate that the fires that we have been seeing throughout the state haven’t been in the most densely visited areas of the state,” she said. Tourism office statistics show Yellowstone National Park is by far the number one reason visitors come to Montana. June visitation there was solid. July figures are not quite in yet. Glacier National Park is number two. There, June visitation was up noticeably from 2011. Last year, high snowpack stopped the park from opening the Going to the Sun Road until mid-July, the latest opening on record. “So this year they were able to open a full three weeks earlier which makes a significant difference for that area of the state,” Lawlor said. Lawlor feels optimistic about the rest of the peak Summer tourism season—about two more weeks. Even if wildfire severity really picks back up again, she says people have usually already made their plans. Plus, her office has been seeing some of a shift toward Autumn tourism in the state. “Some areas of the state are seeing significant bookings through October. So we should be seeing strong travel right through the Fall,” Lawlor said. Those cooler temperatures may give the staff of Birds and Beasleys another tactic to draw tourists into their cozy gift shop.